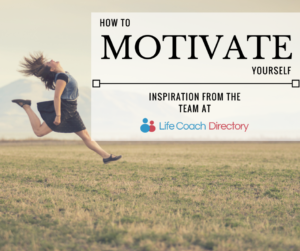 We ask the the Life Coach Directory Team what motivates them to achieve their goals, no matter how large or small. Everyone motivates themselves in their own particular way. This can range from thinking about the long-term pay-offs, breaking your goals up into smaller achievable tasks and simply turning on your favourite music. Hopefully the team have given you some ideas on how to improve your self-motivation. If you have any tips that we have missed out, please let us know in the comments below.